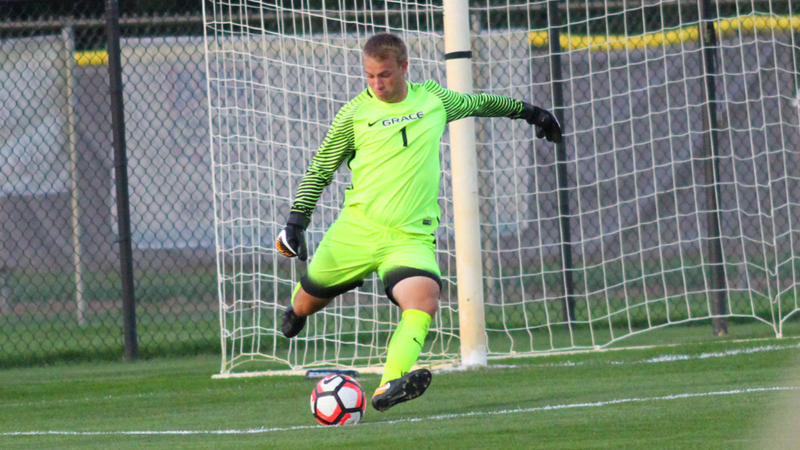 Grace College’s men’s soccer goalkeeper Kurt Hamlin was named the NCCAA National Defensive Player of the Week on Monday. Hamlin made six crucial saves in Grace’s 1-0 double overtime win at Ohio Christian. He made one of the plays of the game in the second half, saving a penalty kick in the 71st minute to keep the game scoreless in regulation. Hamlin has four shutouts this year for Grace as the team’s only goalkeeper. The Lancers kick off Crossroads League play on Saturday, hosting Bethel at 7 p.m. at 1st Source Bank Field.